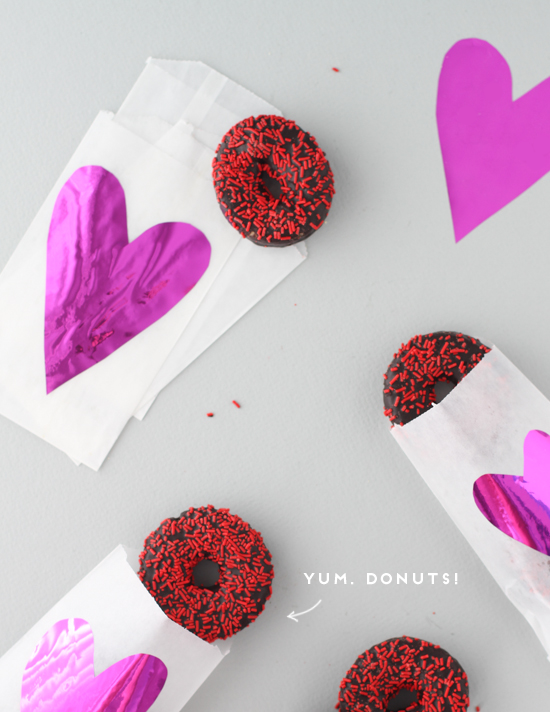 Valentine’s Day is only two and half weeks away, so even though it’s still January, I’m kicking off V-Day DIYs today with a bang. 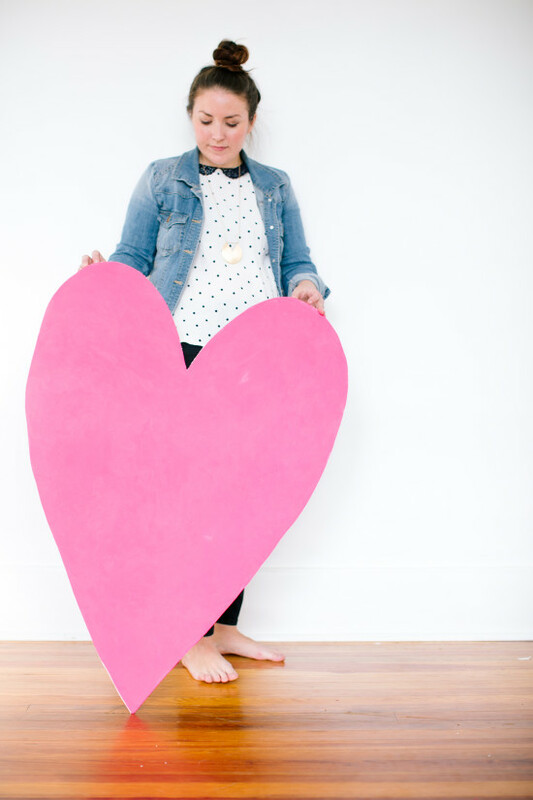 Make a giant (3 feet tall) heart photo booth backdrop and prop that you can use as decorative artwork around your house pretty much anytime of year. But especially in February. 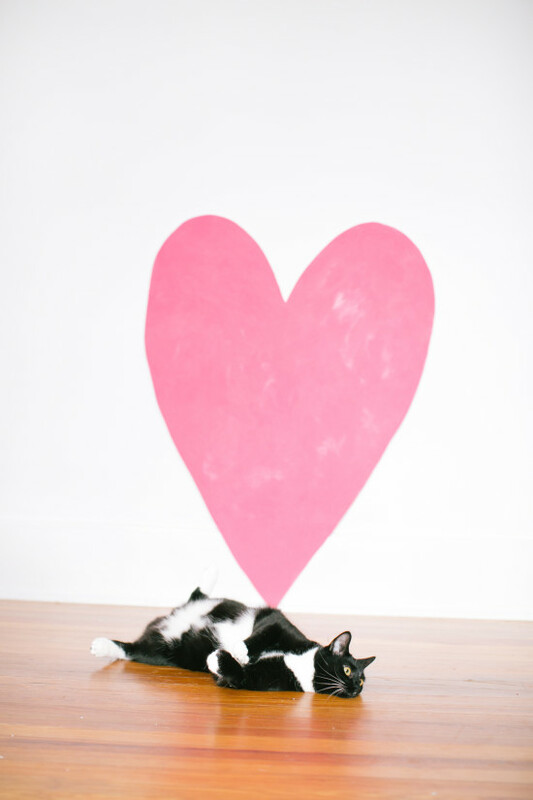 And if you’re the type that takes V-Day photos with your man (or your cat) for postcards, etc, this is a great prop to include in the photos. Just sayin’. 1. Freehand a tall heart on the biggest piece of foam core you can find, with a pen or pencil. Then trace over it with a marker so you can see the lines better. 2. 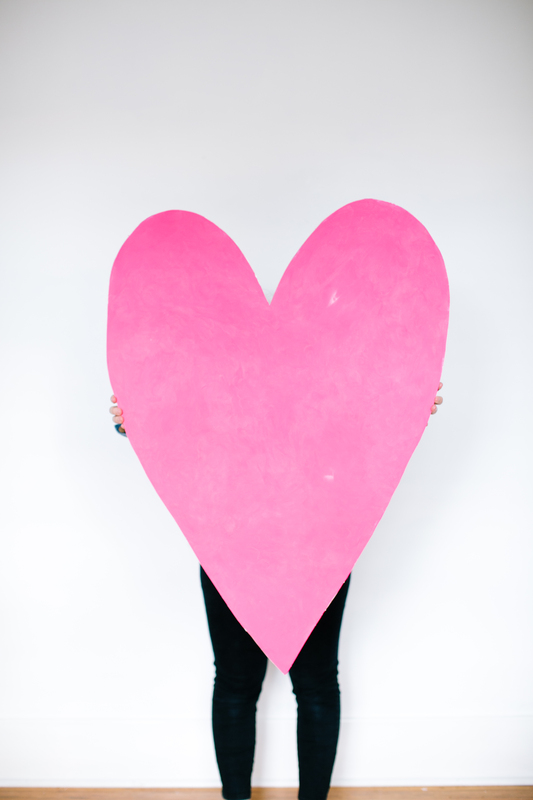 Next, cut out the heart shape with an Xacto knife or box cutter. 3. 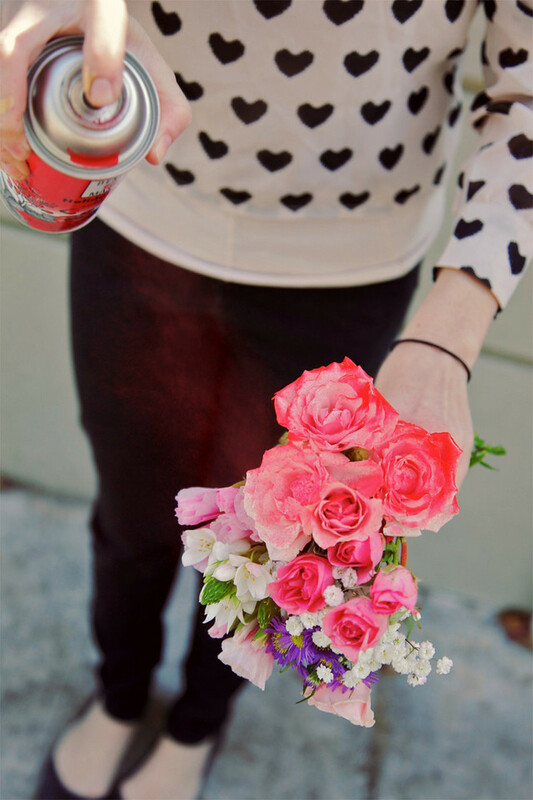 Then, paint the entire heart with 2-3 coats of acrylic craft paint. Wait for it to dry completely. 4. Add two small saw hooks to the back with strong glue if you plan to hang it on the wall. And enjoy! 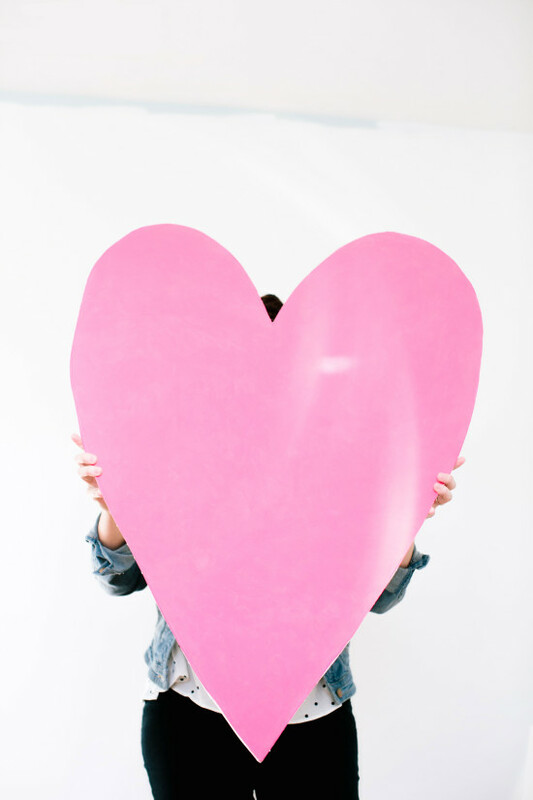 After Valentine’s Day is over, paint your heart black or some other non-Valentine color (like teal) to keep this big ol’ heart relevant long after February 14th is over. You could also attach a black and white drafter’s print, made from one of your favorite photos, to the heart with glue and then cut flush to the foam core for a totally different look. So what do you think? 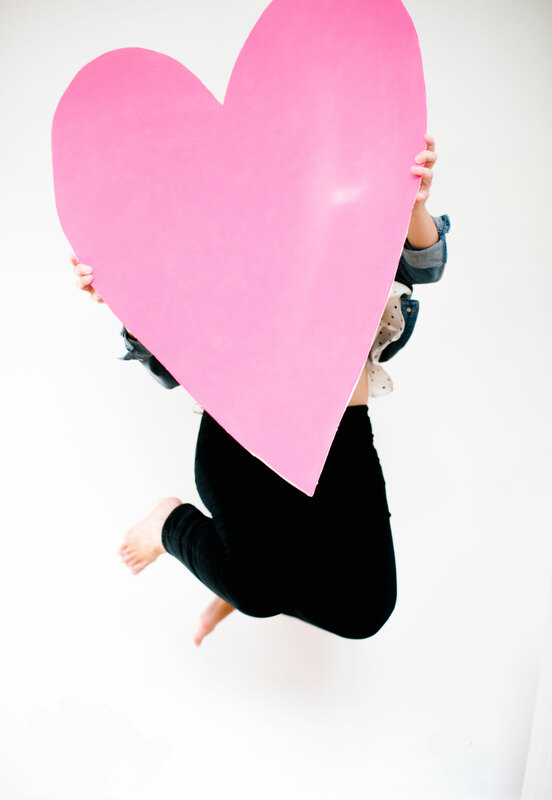 Would you use this as a photo booth backdrop, or as a prop, or as hangable artwork? This would be perfect for a photobooth! Thanks Heidi. 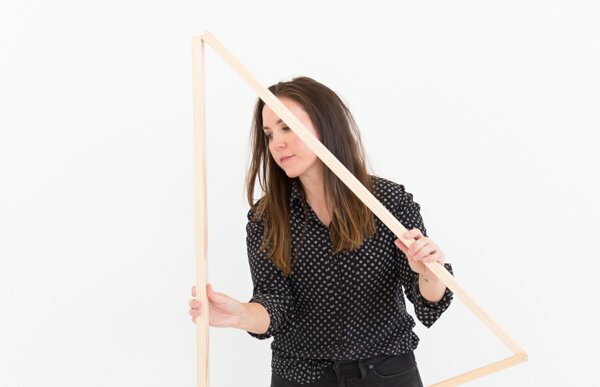 You could totally make a few of these to hang to, for an even bigger backdrop. Stop. This. This is amazing! I am DYING! New favorite project right here. Aw. Thanks Kelly. You’re the sweetest. Well that’s just the cutest thing! Hey Laura. Hope you are doing well. It was so great to meet you at the Cricut event! Thanks for stopping by. Ack, this is so cute! I love the idea of transforming it after Vday to keep it around too. Thanks Rachel. I think I’m going to paint mine black after V-Day. Or do the photo paper thing. 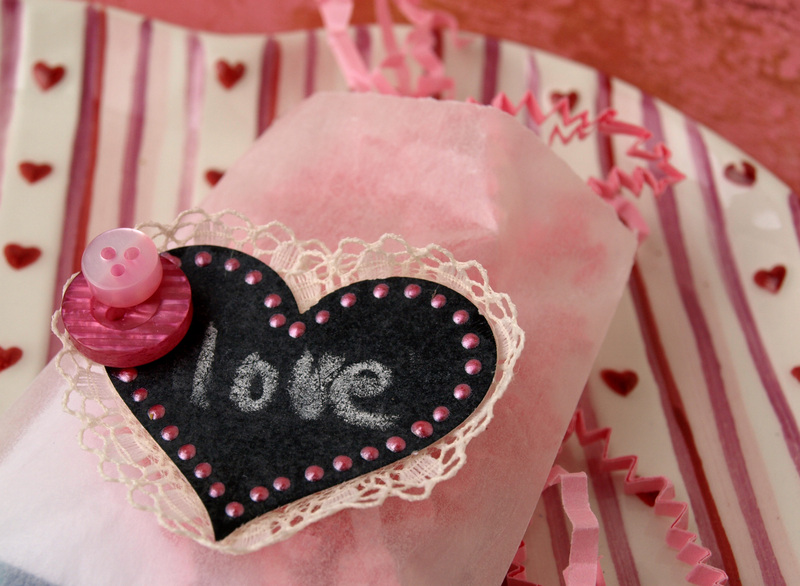 By the way, I love that Valentine candy box you made recently. So cute. Aww. Thanks Jessica. You’re sweet to say that. And thanks Jackie! Hope you find the wall space for this project. So cute! What a great idea for pictorials! Thanks Anna. Hope you have a great weekend. So so cute! Can I ask what color acrylic paint that is? I’m in love with it!! And where did you get your foam? Thank you!! Hi Taylor. The foam core is from Hobby Lobby (but they have similar foam core at Michael’s and JoAnn’s). I don’t remember the exact color of acrylic paint I used though, I’m sorry…I ended up using all I had left and I threw away the bottle. 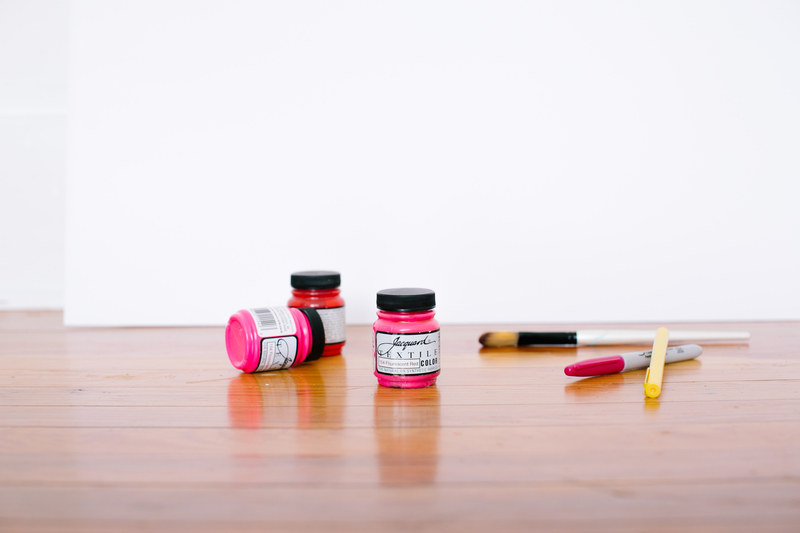 But it was probably just a cheap acrylic craft paint (FYI – the paint that was in the supplies photo I actually ended up nixing because it was too transparent). 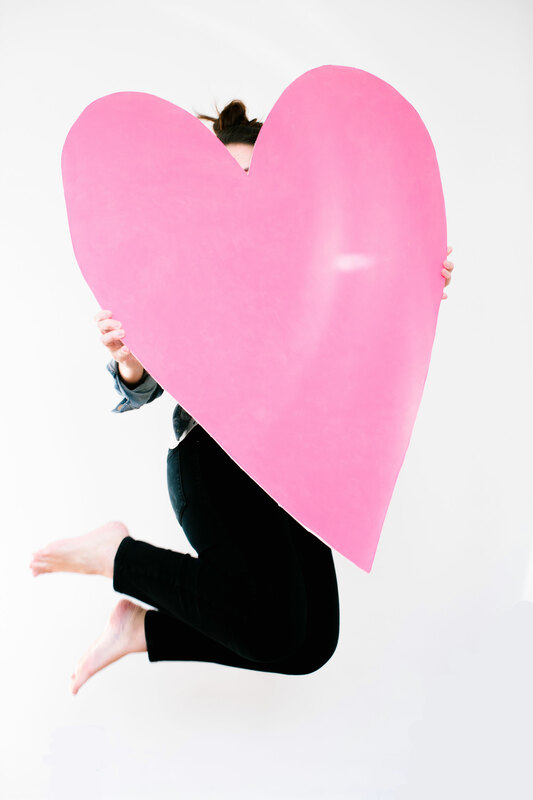 NEnz » Valentijnsdag: tijd voor Radical Self Love!